Patrul Rinpoche’s few personal belongings. Photo by Matthieu Ricard. Patrul Rinpoche, Orgyen Jigme Chökyi Wangpo (1808–1887), a wandering practitioner in the ancient tradition of vagabond renunciants, became one of the most revered spiritual teachers in Tibetan history, widely renowned as a scholar and author while at the same time living a life of utmost simplicity. A strong advocate of the joys of solitude, he always stressed the futility of worldly pursuits and ambitions. The memory of his life’s example is still very much alive today, offering an ever-fresh source of inspiration for practitioners of Tibetan Buddhism. 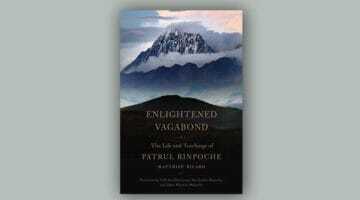 An exemplary upholder of the purest Buddhist ideals of renunciation, wisdom, and compassion, Patrul Rinpoche spent most of his life roaming the mountains and living in caves, forests, and remote hermitages. When he left one place, he left with no particular destination; when he stayed somewhere, he had no fixed plans. In the wilderness, his favored meditation was the practice of cultivating bodhicitta—the wish to relieve all sentient beings from suffering and bring them to the ultimate freedom of enlightenment. In his youth, Patrul studied with the foremost teachers of the time. 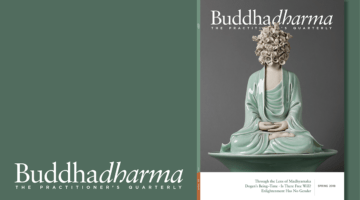 With his remarkable memory, he learned most of the oral teachings he heard by heart, thus becoming able to elucidate the most complex aspects of Buddhist philosophy without referring to a single page of text, not even when he taught for months at a time. Utterly uninterested in ordinary affairs, Patrul naturally abandoned the eight worldly concerns, which consist of everyone’s ordinary hopes and fears—hoping for gain and fearing loss; hoping for pleasure and fearing pain; hoping for praise and fearing blame; hoping for fame and fearing disgrace. Patrul Rinpoche is remembered as a contemplative and scholar who, through his practice, achieved the highest realization of ultimate reality. Patrul generally refused to accept the offerings that are often made to a teacher or a respected religious figure according to tradition. Presented with valuable gifts such as gold and silver, he would leave them on the ground, abandoning them as easily as one abandons spit in the dust. In old age, however, he began to accept some offerings that he gave to beggars or used for making statues, building mani walls (amazing walls of sometimes hundreds of thousands of stones carved with the mani mantra, Om mani padme hum), making butter-lamp offerings, and engaging in other meritorious activities. 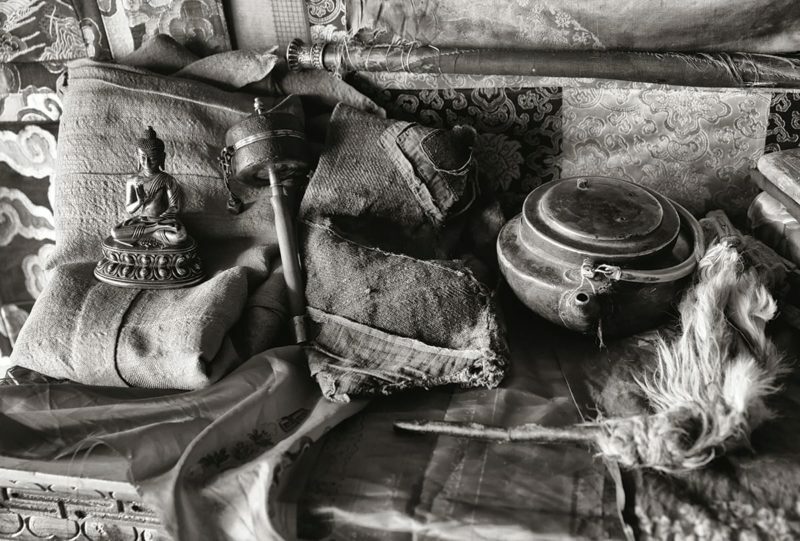 At the time of his death in his late seventies, Patrul Rinpoche’s few personal possessions were much the same as they had been when he first set out as a renunciant: two texts (The Way of the Bodhisattva and TheRoot Verses on the Middle Way), a begging bowl, a red wool pouch holding his yellow monk’s shawl, a prayer wheel, his walking stick, and a little metal pot for boiling tea. Patrul Rinpoche is remembered today by illustrious contemporary masters as a contemplative and scholar who, through his practice, achieved the highest realization of ultimate reality. Dilgo Khyentse Rinpoche affirmed that Patrul was unsurpassed in his realization of the view, meditation, and conduct of Dzogchen. His Holiness the Fourteenth Dalai Lama often praises Patrul Rinpoche’s teachings on bodhicitta, which he himself practices and transmits. While in retreat at remote places, Patrul wrote profound original treatises, most of which have survived. He spontaneously composed many poems and pieces of spiritual advice; many of these vanished into the hands of the individuals for whom they were written. His best-known work, composed in a cave above Dzogchen Monastery, is TheWords of My Perfect Teacher. Composed in a blend of classical and colorful colloquial Tibetan, it is one of the most widely read teaching instructions on the preliminary practices of the Nyingma school. Revered by all four schools of Tibetan Buddhism, it has been translated into many languages. I feel very fortunate to have been able to collect, over more than thirty years, a large number of oral stories about Patrul Rinpoche that were recounted with great love and enthusiasm by the spiritual heirs of his lineage, some of whom actually met Patrul Rinpoche’s direct disciples. In a culture in which oral transmission still plays an important role, Tibetans are known for their ability to retain and retell stories in great detail. When hearing them, one often has the feeling of witnessing the events as they took place. They provide vivid glimpses into the ways of a highly realized being as he interacts with people, conveys the Buddhist teachings both formally and informally, and lives his everyday life, which is both astonishing and humble, often quite humorous, and the perfect illustration of inner freedom. While Patrul was traveling on foot across the vast plateaus of Golok, north of Dzachukha, he encountered a woman, mother of three, whose husband had just been killed by a changthang dremong, the huge bear of the Tibetan steppes, a beast much more dangerous than the dremong of the forests. Patrul asked the woman where she was going, and she told him she was headed to Dzachukha with her three children to beg for food, as the loss of her husband had left them destitute. She agreed, and so they walked together for many days. At night, they slept outside beneath the sky. Patrul would nestle one or two of the children into the folds of his sheepskin coat, and the woman would similarly hold the rest. During the day, Patrul would carry one child on his back, the woman would carry the second, and the third would walk along behind. When the woman begged in villages and nomad camps they passed, Patrul would beg right alongside her, asking for tsampa, butter, and cheese. Travelers they met assumed they were a family of beggars. No one—least of all the newly widowed woman—guessed the identity of her shabby companion. Eventually, they reached Dzachukha. That day the woman went off on her own to beg for food, and so did Patrul. In the evening, when they returned, the widow noticed that Patrul had a dark look on his face. The next day, everyone in the valley had heard the news of the great lama’s return. The poor widow and her family had to sit at the far edge of the large crowd to hear Patrul’s teachings. She was so far away that she could not see his features clearly. At the end of the teachings, like everyone else, she stood in a long line, waiting to receive the great lama’s blessing. Jamyang Khyentse Wangpo had occasional differences of opinion with Patrul—even calling him “that lunatic” on one occasion. Nonetheless, he admired Patrul very deeply. As an expression of his esteem, he composed a long devotional prayer in Patrul’s praise, recounting his life story. This lengthy prayer served as basis for the later biography Elixir of Faith, written by Khenpo Kunpel. Jamyang Khyentse Wangpo sent his composition in a letter to Patrul along with some mendrup, a special edible substance made of medicinal plants mixed with many relics and consecrated during a weeklong ritual. Patrul was in the midst of giving teachings when he received Khyentse’s letter. People in the audience witnessed him taking some of the mendrup and reading the letter. Having read it, Patrul immediately became upset and shouted, “That Jamyang Khyentse Wangpo is such a horrible lama!” Patrul suddenly stopped teaching, which was completely unlike him. He disappeared for several days. When he at last returned and was about to continue teachings, people learned what in the letter had so upset Patrul—it was Khyentse’s words of praise for Patrul. As Khyentse’s mendrup was distributed to all those present, Patrul praised Jamyang Khyentse Wangpo’s boundless good qualities. Patrul then pointed out that praise and fame posed real obstacles to those who teach dharma. He explained that, after he’d read Jamyang Khyentse Wangpo’s verses praising him, he needed time in order to reflect and make sure such lavish praise did not go to his head. Jigme Chökyi Wangpo, I supplicate you. Once, a learned geshe, an erudite scholar from the Geluk tradition, decided to debate the renowned scholar Mipham Rinpoche. Mipham at that time was staying in Dzachukha at Juniong Monastery, so the Geshe headed off in that direction. Along the way, it occurred to him that he ought to test out his debate skills first by debating and defeating a few lesser Nyingmapa scholars. The Geshe was disappointed not to have found a well-known scholar to practice on. Nevertheless, he made his way through the forest and climbed up to Patrul’s retreat hut. Patrul’s retreat helper had warned Patrul of the Geshe’s intention to visit and practice debating. As soon as his helper told him the Geshe had arrived, Patrul picked up his worn-out sheepskin coat, turned it inside out, and put it on so that all the fur was on the outside. He lay down on his bed, putting his head at the foot of the bed and his feet at the head of the bed on his pillow. The Geshe knocked at the door, but Patrul did not answer. After knocking several times, the Geshe slowly opened the door. He saw Patrul lying in bed, with his feet on his pillow and his head at the foot of the bed, wearing a sheepskin coat with its fur turned inside out. After this spicy start, the Geshe questioned Patrul on the Nyingma views. Patrul responded with amazing ease and broad knowledge. So the Geshe gave up and went home. At first, there was just one tent, Patrul’s little black yak-hair tent. Over time, people came and set up tents of their own. Gradually, the tent encampment grew, from very few tents to very many. At its peak, there were hundreds of black yak-hair tents and white cotton tents gathered together in the style of nomads, sheltering thousands of devoted dharma practitioners who had come to hear Patrul teach. This encampment of practitioners was known as Patrul Gar. Patrul taught everyone staying there what he called the Three Opportunities, a practice to refine one’s intentions. The first opportunity occurs upon waking; don’t get up in a rush, the way a cow or a sheep in a pen does, but take a moment while still in bed to relax your mind. Look within, and check your intention. The second opportunity at Patrul Gar occurs on the way to the teachings. People must squeeze through a narrow passage to get past a stupa on the way to the teaching tent. The moment of squeezing past should be used as a reminder to cultivate bodhicitta and a wish to benefit others by avoiding evil actions and performing beneficial actions. Each instant, put your heart into it again. Each moment, remind yourself again. Each second, check yourself again. Night and day, make your resolve again. In the morning, commit yourself again. Each meditation session, examine mind minutely. Never be apart from dharma, not even accidentally. When people staying at Patrul Gar just weren’t getting the point, Patrul would actually send them away. His physician, Jampel, who was also the chieftain of Ling La (a nomadic community), was summoned. Long-life ceremonies were performed on Patrul’s behalf. Patrul paused a bit, then replied, “Well, for you, West. For me, East”—perhaps referring to Vajrasattva’s Eastern Buddhafield of Manifest Joy. Sönam Tsering did not ask what he meant. According to his attendant, on the seventeenth day of the fourth lunar month of the Male Fire Pig Year (1887), Patrul took a little food, recited the Tantra of Immaculate Confession, and did a few prostrations. He performed the fivefold yogic exercises. He also did an exercise to increase the free flow of wisdom prana through the channels at the heart chakra. On the eighteenth, in early morning he ate some curd and drank a little tea. At sunrise, he took off his clothes, sat upright in a meditative pose, crossed his legs in the vajra posture, and rested his two hands upon his knees. When Khenpo Kunpel dressed him again, Patrul said nothing. In addition to his attendant Sönam Tsering, three people stayed by Patrul’s side that night: Khenpo Kunpel, a person named Kungyam, and Patrul’s doctor, Jampel. At one point, Sönam Tsering recounted, Patrul gazed straight into space and snapped the fingers of both hands. He rested his hands under his robe in the mudra of equanimity. Then Patrul entered in the infinite, luminous space beyond birth and death, pure from the very beginning. A fully realized yogi may look like an ordinary person, but his mind remains in pure awareness without effort . . . when he leaves his physical body, his consciousness becomes one with the dharmakaya, just as the air in a vase merges with the surrounding space when the vase is broken. 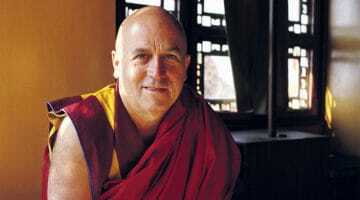 Matthieu Ricard is a Buddhist monk who had a promising career in cellular genetics before leaving France thirty-five years ago to study Buddhism in the Himalayas. He is an author, translator, and has been a participant in scientific research on the effects that meditation has on the brain. Ricard’s work is held high regard in intellectual circles in Europe, and two books he co-authored, The Monk and the Philosopher and The Quantum and the Lotus, are best-sellers in France. He lives in Tibet and Nepal.